We are one of the leading home loans providers in Delhi/NCR who are working tirelessly for the people of Delhi,Guragaon,faridabad,Noida,Greater Noida to give them the best services in regard of Term HOME LOAN., We know that building a new home is something very special for you and our Home Loan helps you lay the foundation for your dream home and makes it’s a reality. We offers you the most convenient home loan plans to suit your needs. Mudrawale.com is a one stop platform in Delhi,Guragaon,faridabad,Noida,Greater Noida to get accurate details and information for home loans. HDFC Bank Ltd, ICICI BANK, Standard Chartered Bank, Development Credit Bank, Citi Bank, Cholamandalam DBS, Barclays, Indiabulls etc. 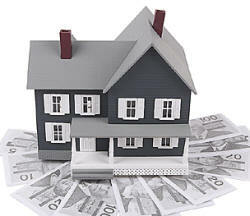 Normally Home loans are provided based on the registration value of the property. As per current norms of different banks , banks are providing 80-85% loan of the REGISTERED VALUE of the property.By availing various types of housing loan schemes a person can now fulfill the need for a house of his own. Home loan is not a one-time decision and shuld not be taken in a hurry; one must do review the market periodically before availing a home loan. Today there are unlimited numbers of banks and NBFcs in the country wanting to give out Home loans. In the present scenario of high competition, it looks very easy to get a home loan. But is it really so ?? MudraWale.com is the Best Home Loan Providers of Home Loans. Nothing else would pleasure us more than if we find ourselves to assist you purchase your dream home. Mudrawale.Com makes it easier for you to move in as soon as possible without putting a strain on your wallet. Your Dream home is much closer to you than you think. Apply for a home loan today.